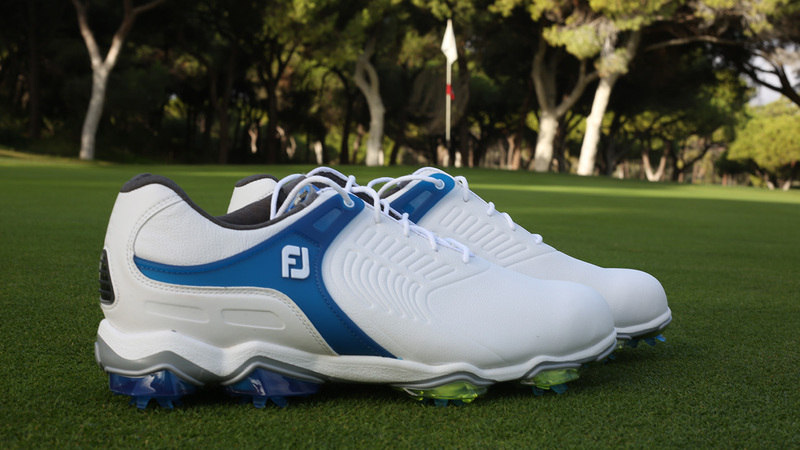 FootJoy Tour-S golf shoe: heaps of stability and comfort. 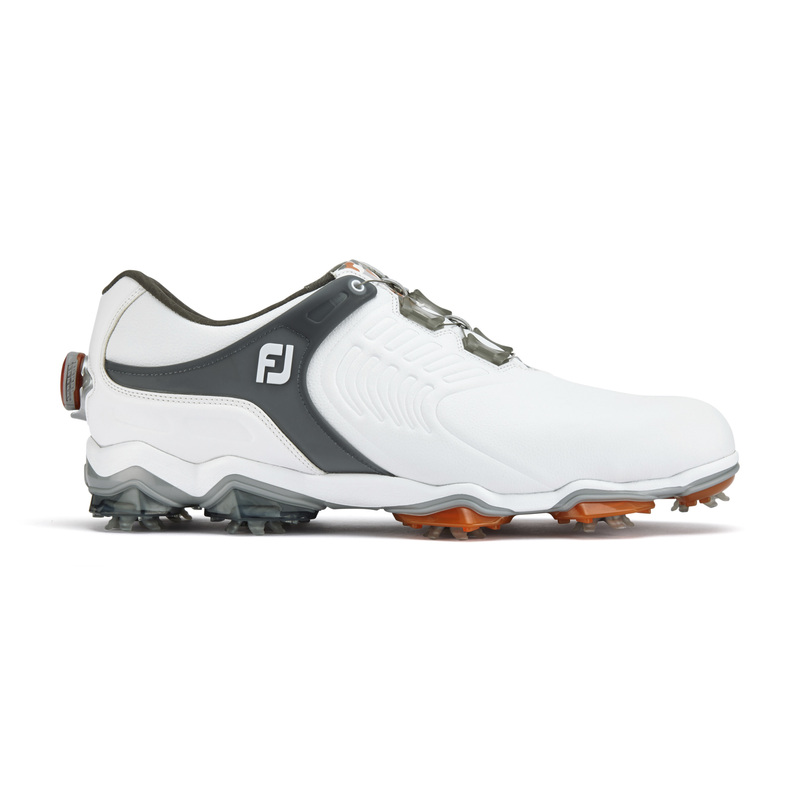 FootJoy have launched some fantastic golf shoes in the past, but there have also been a few that have been found wanting - often in the aesthetics department. So we were slightly holding our breath as they unveiled their new line for 2018, as we’re not convincing at feigning excitement over a product. Thankfully, we needn’t have worried when it came to the Tour-S.
By no means would we say this was a purely sporty shoe, but there’s a dollop of casual in there. Still clearly performance based - which will keep a certain sect of consumers happy - but not so high-tech they look ready to appear in Star Trek. The all-white pair look superb, although it’s a shame designers opted for green studs. The blue and grey options are our favourites, while the black...well, have you ever seen a nice black golf shoe? It’s a stripped down aesthetic, with a modern edge, which will appeal to a lot of players. The premium leather gives a luxury aesthetic. One small issue is the front studs protrude at the sides when you look down on them, which is slightly irritating. Of course, having them so far to the edge of the shoe is a major reason they are so stable - you can't have it all! Absolutely superb. 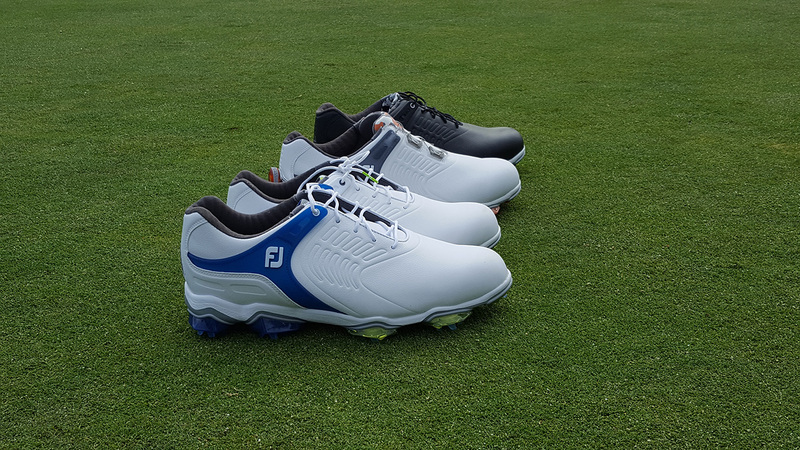 The new FJ Tour-S is built for stability, comfort and support, and all three are maxed out. We felt lower to the ground compared to other FJ shoes - particularly the Hyperflex - and they feel wide and connected. You really feel the ground beneath your feet. The shoe has a rigid feel thanks to a fiberglass midsole, and it offers heaps of support through the swing, no matter how much twisting and shuffling you have going on. Straight out of the box we enjoyed excellent levels of comfort, spending all day in these shoes and having no issues. We played on a wet course out in Portugal, and the new pods on the underside of the shoe seemed to work wonders, as we were never wanting for grip. 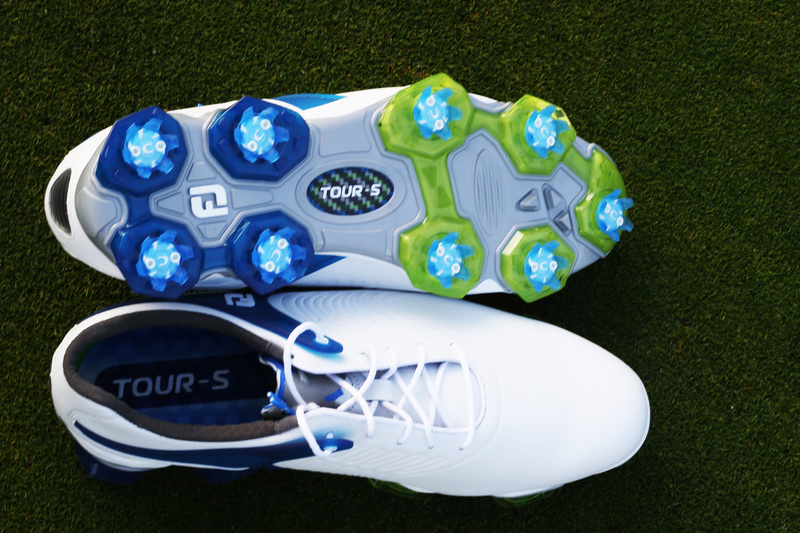 We felt stable in the Tour-S, and enjoyed the high levels of comfort and levels of grip. Golfers will feel closer to the ground in these shoes compared to some other FJ products, which will keep players balanced through the swing. We’re expecting this to be a popular shoe in 2018.